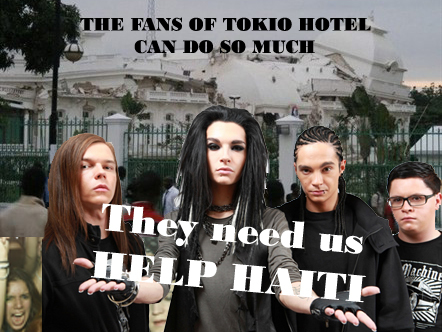 We want to help the people in Haiti. Lets make a United Front in the battle to Re-Build Haiti! I hope es Hife too! Mexico ist so INGREDIBLY Supportive of TH!